The NHL Trade Deadline has come and gone, and it was a rather calm Wednesday. 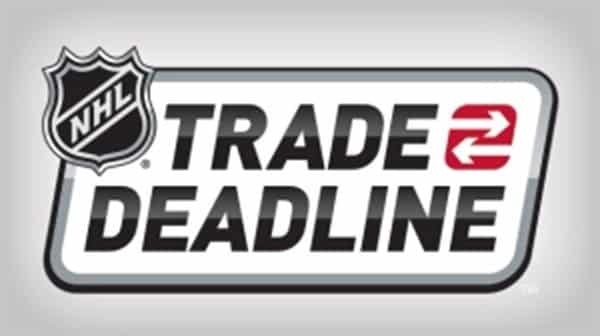 The trades are starting to become more spread out, instead of making all of them on the deadline day. There were a few definite winners and losers, however, and that’s what I’m here to look at. Vancouver Canucks: Although Jim Benning does have a history of messing up trades and stripping his team of all young talent, I believe that he had a good deadline this year. He recognized that Vancouver was not a playoff team, and shipped out Jannik Hansen and Alex Burrows, with Hansen being 30, and Burrows being 35. In return for Hansen, they received Nikolay Goldobin, a 21-year old winger prospect and a conditional 4th round pick from the Sharks, with the condition being that the pick automatically becomes a first-rounder should the Sharks win the cup. In return for Burrows, they received Johnathan Dahlen, a 22-year old who is a near point-a-game player in his Swedish league. Washington Capitals: This one’s obvious. The Capitals bolstered up their roster for the playoffs with the acquisition of Defenseman Kevin Shattenkirk from the St. Louis Blues. The Capitals are notorious for flaming out in the playoffs, and this addition to their backline. It will definitely help when they will potentially haveto take on the Pittsburgh Penguins in the second or third round of the playoffs. Detroit Red Wings: Ken Holland seems to have finally figured out that Wings fans are not content with making the playoffs every year only to be eliminated in the first round, as he shipped out 4 players in return for prospects and picks. The two most talked about trades were the moves of Thomas Vanek and Brendan Smith. The Vanek trade was discussed mostly because of the low return, Defenseman Dylan McIlrath and a conditional 3rd round pick, which leads many to believe that the market for Vanek was very overhyped. On the other hand, he sent Smith to the New York Rangers for a 2018 2nd round pick and a 2017 3rd. The Rangers seemed to be very desperate to boost their backline, and after missing out on Shattenkirk, the market for Brendan Smith creeped up. This is a great trade for Holland. Montreal Canadiens: The Canadiens needed to bring in depth scoring, but instead they brought in 3 players that have a combined 28 points in Steve Ott, Dwight King, and Andreas Martinsen. They also brought in Jordie Benn, who only has 15 points on the season. It is debatable that these players will have little to no impact on Montreal’s chances in the playoffs. Buffalo Sabres: The Sabres made a mistake by staying quiet at the deadline, not moving any pieces that could’ve brought in a valuable haul. Stocking up for the future is the plan in Buffalo, and they could’ve made the future brighter by acquiring more picks and prspects at the deadline. New York Rangers: After missing out on Shattenkirk, the Rangers gave up what a lot of people felt was too much for Brendan Smith. Desperate to get better on the blueline, the Rangers gave up rather high picks in the next two upcoming drafts for a not so stellar return. This is my review of the NHL Trade Deadline. It was rather calm, but some teams made some big moves, and some names have gotten a fresh start in brand-new places.